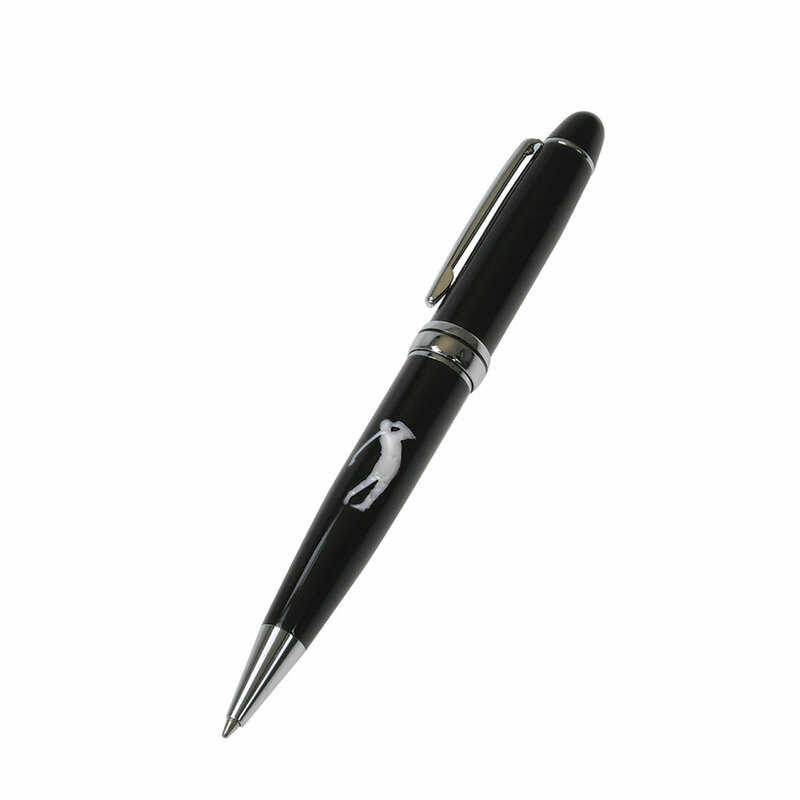 A glossy black ballpoint pen with chrome accents. The pen features a white golfer design on the barrel, alongside a solid brass caps and parts construction. Ballpoint pen utilizes a twist-action mechanism. The pens are shipped in a black velvet pouch.